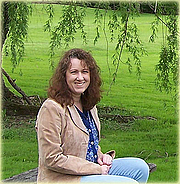 LK Hunsaker specializes in mainstream romance with strong characterization and an emphasis on the arts and social issues. Her passion for books, music, and art was fueled by an artistic family, and after dabbling with creative writing since childhood, she began to combine word play with another passion: studying relationships. A degree in psychology strengthened her interest in and understanding of human nature, and the effects of family issues mixed with friendships, romance, and culture have strong reflections in the author's work. Having moved often as a military spouse and traveling widely in between, she is now settled in Pennsylvania with her husband and two children. LK Hunsaker is a LibraryThing Author, an author who lists their personal library on LibraryThing. LK Hunsaker is composed of 1 name.